In this guest post, artist and session leader Shanna Fliegel shares her plans for Watershed 2018 Residency Session V: The Surface Exchange. Several spots are still available for those interested in joining the group from August 12-24. Additional participants include guest artist Mariko Paterson and AIA members Sukjin Choi, Melissa Mencini, Brooke Noble, and Adams Puryear. Learn more and register for this session. Several years ago, I was invited to a Watershed session, but my responsibilities as a new mom took precedence. Life can be so messy, exhausting, and scripted at times but I kept the idea of coming to Watershed with me. Watershed exists as a wild, magical bubble “somewhere” in Maine…somewhere in my imagination. The stories I have heard about the clay, raw wildness of the area, and strength of the community have settled inside of me. 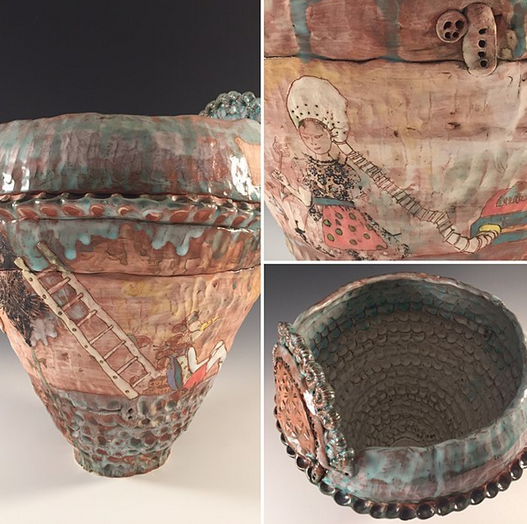 Throughout my journey with clay I have always felt gratitude for places like Watershed-places that cultivate space and time for artists to connect, work, think, and make. Now more than ever, I feel a personal need to visit Watershed and share with those who also need a place to anchor them in order to make new work, or just make new friends. I see this residency as a quiet breath of fresh air with a dash of collaborative babble. 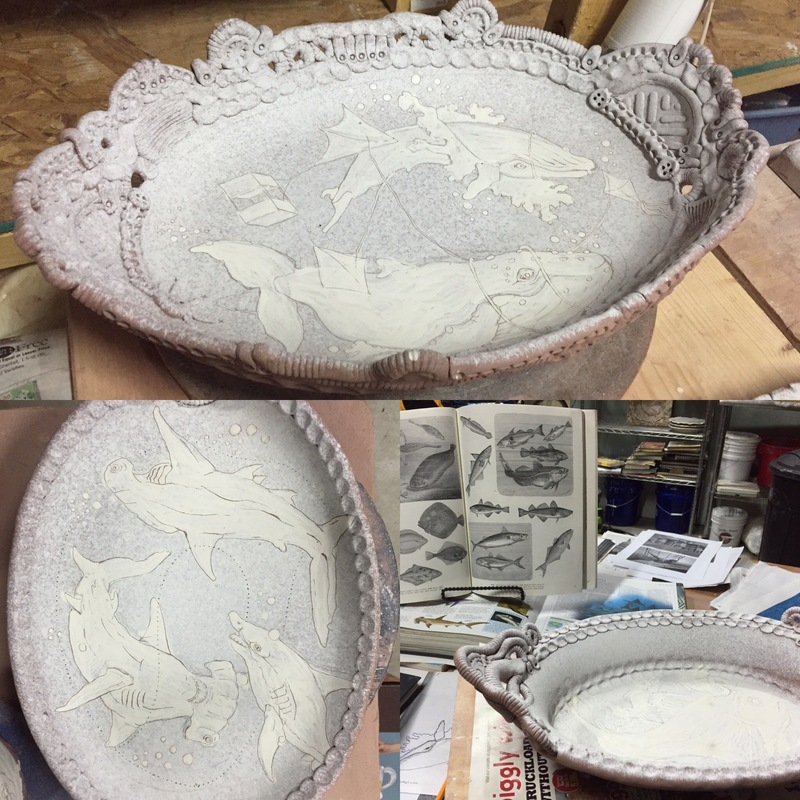 As artists, we may regularly feel the allure of multiple approaches to surface and form in clay, but choose to pigeon-hole our work into a rigid “look” or identity. During this Watershed session, I envision our group transcending the normal fall backs we often rely on and branching out to try new techniques and materials. Seeds of change take time to grow, but the Watershed residency offers the perfect opportunity to nurture the experimentation we often avoid out of convenience, fear, deadlines, or lack of time. I invited artists to anchor the session based on the diversity of their surface methods while also considering the variety of forms they work with. Several participants use surface as a place to “draw” on their clay, adding narrative, figurative, or decorative elements to their work. Others approach surface through texture, layering, and material experimentation. Through informal demonstrations, a collaborative tile exchange and brainstorming exercises to generate imagery, we will investigate a wide range of strategies for developing the surface of our work and explore techniques that are both familiar and new to us. I plan to share drawing methods I use to create visual depth on a flat surface in order to “push” or “pull” imagery to the background or foreground of a piece. I also plan to share a simple screen printing technique called thermo-faxing or thermal imaging. 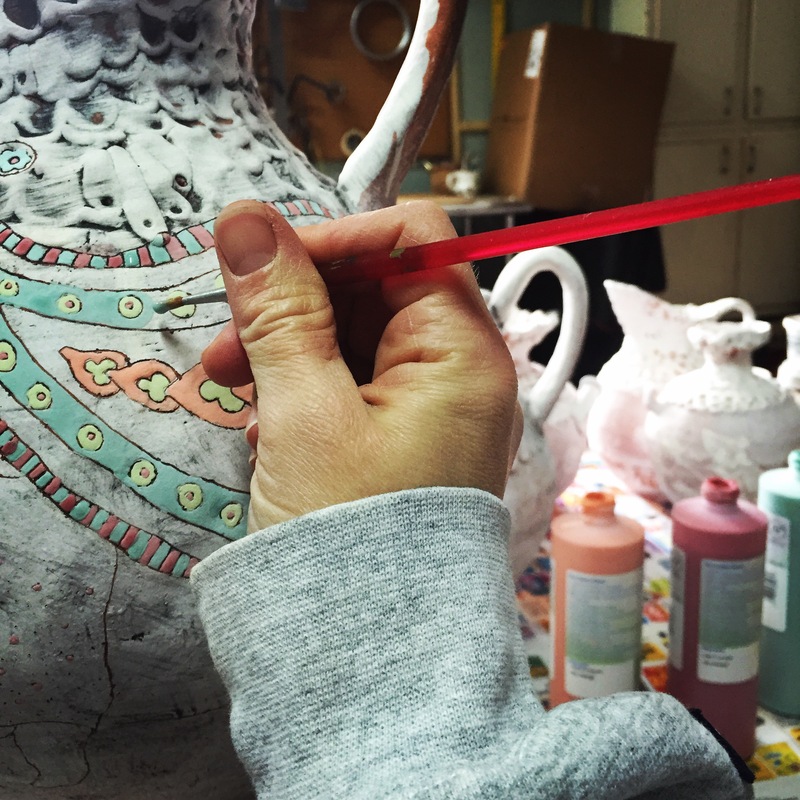 Participants will have the opportunity to experiment with underglaze, mason stains, slip, and oxides. 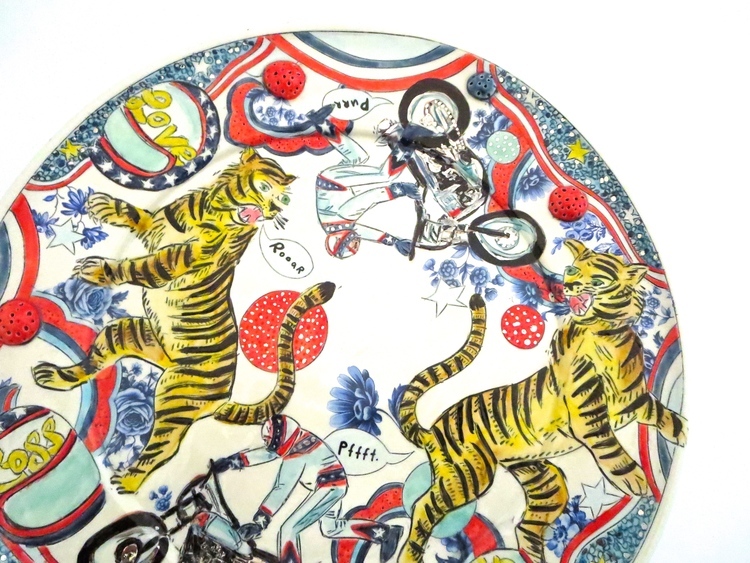 We’ll also spend time exploring mishima, sgrafitto, stencils, stamps, glazes, luster, and decals. I am thrilled to have organized The Surface Exchange and look forward to sharing this fruitful adventure with other artists and makers! Read more about the Surface Exchange and sign up to join the session.